Shakespeare Schools Foundation is a cultural education charity that gives young people across the UK the confidence to succeed in life. For the 2017 Festival press release please see the download section at the end of this page. SSF has worked with 280,000 young people since the charity was founded in 2000. We work with pupils from every community, background and school type nationwide - from Aberdeen to Aberdare, Carlisle to Clacton. We engage diverse groups, including those with special educational needs and from minority ethnic backgrounds, and are passionate about reaching those living in areas of deprivation. We use Shakespeare as a catalyst to uncover the most pressing themes of today in a neutral, creative forum. Students have the opportunity to explore topics like racism, gender equality and mental health. As a result, confidence increases and friendships flourish. 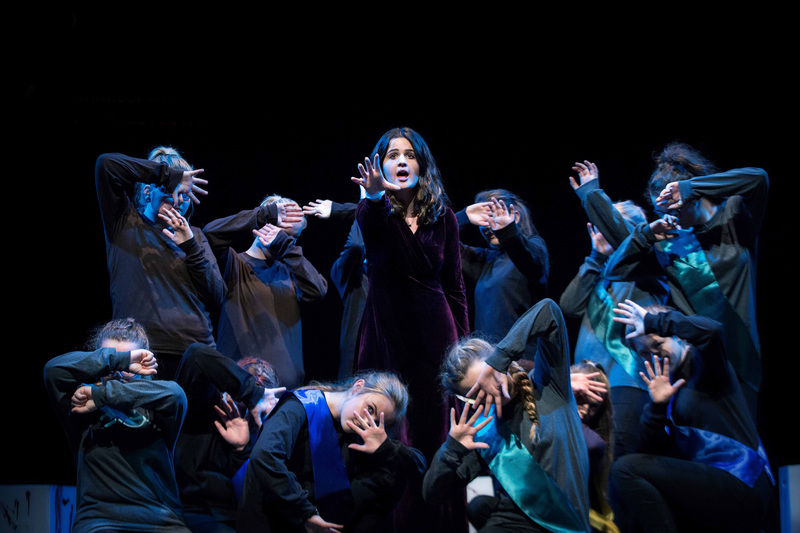 The annual Shakespeare Schools Festival is our flagship project and the world's largest youth drama project. Months of preparation culminate in exhilarating performance evenings in professional theatres nationwide; a life-changing moment to remember forever. Alongside the Festival, we offer curriculum resources and workshops for teachers and students from all school types. Every year, we help thousands of young people become better at teamwork, more confident and more ambitious. 97% of teachers say their students work better together as a team and that their students' confidence increases. 94% of students become more ambitious. With us, young people change their attitude to learning: 94% of students say they are more likely to seek new opportunities and 95% of teachers say their students are more enthusiastic about learning. SSF works to promote educational attainment - especially in literacy, literature and the performing arts. 86% of teachers see an improvement in their students' behaviour and 81% report that academic attainment improves. To mark the 400th anniversary of Shakespeare’s death, we performed for Her Majesty the Queen at her 90th birthday celebration, for the Prime Minister in the gardens of No. 10, filled a West End theatre for our anniversary Gala and closed the year with our Trial of Hamlet fundraiser. 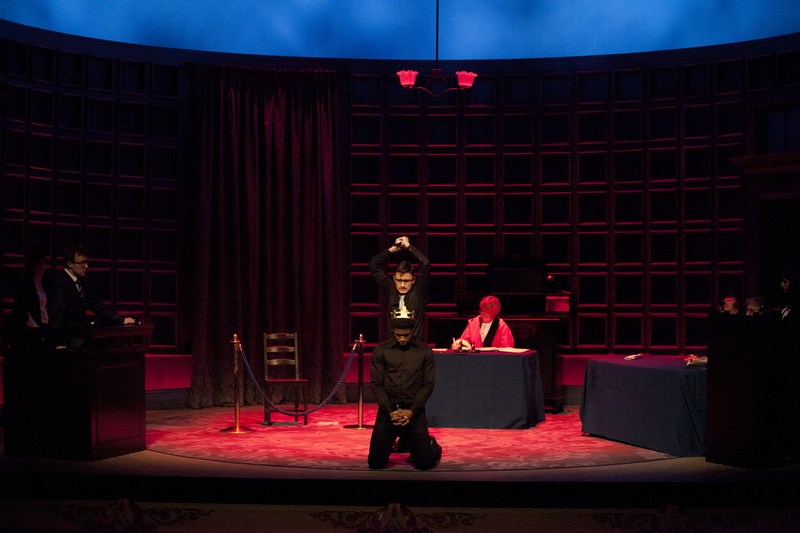 Tried by real QCs in front of Lady Justice Hallett, evidence from Gertrude (Meera Syal), Claudius (Tom Conti) and Player King (Lee Mack) was insufficient to find Hamlet (John Heffernan) guilty for the murder of Polonius. SSF performers were delighted to share the stage with this extraordinary cast. The 2017 Festival runs from 16th October to 8th December. Across the autumn, 292 Festival nights will take place at 136 theatres across the country. 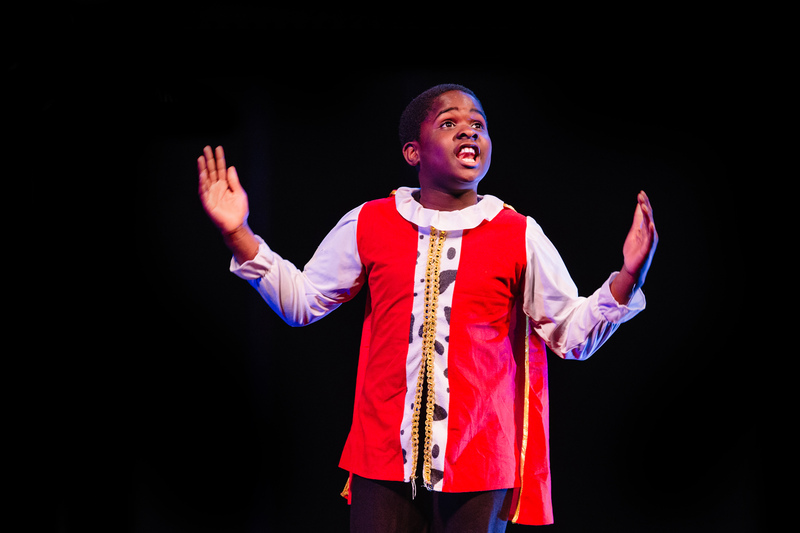 Each Festival night showcases a half hour abridged performance of a different Shakespeare play from three or four local schools with one interval. 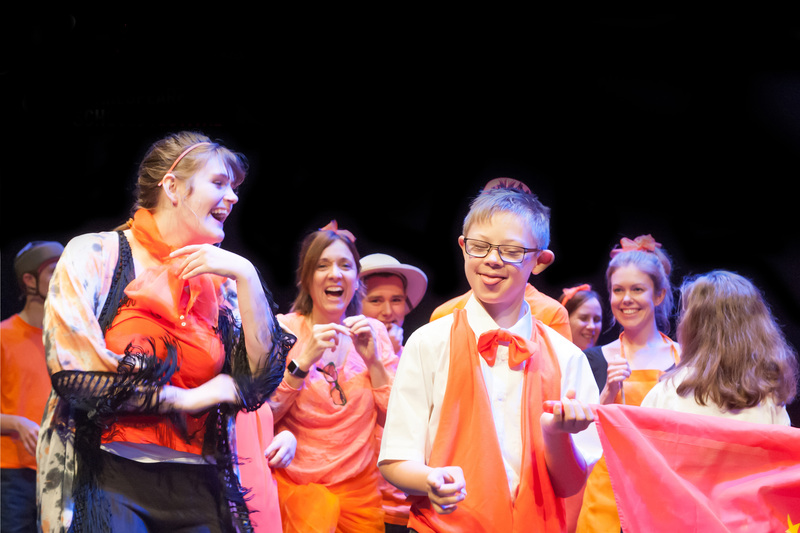 Up to 30,000 young people from over 1,000 primary, secondary and special schools are involved in the Festival as either performers, backstage technicians, or student directors. SSF brings over 65,000 people from the local community to the theatre. Of these, 43% say they had never been to their local theatre before. If you have a marketing or press enquiry please contact Helen Hasse, Marketing Officer, on [email protected] or 020 7601 1925. We have a wide range of high quality performance and backstage photos available for use in any media coverage. If you have specific requests not met by the selection below please get in touch.